Will the Howard Theatre go the same way as the Lincoln Theatre? Howard Theatre. Photo by the author. Will the Howard Theatre, soon to open in April, end up bankrupt like the Lincoln Theatre on U Street? 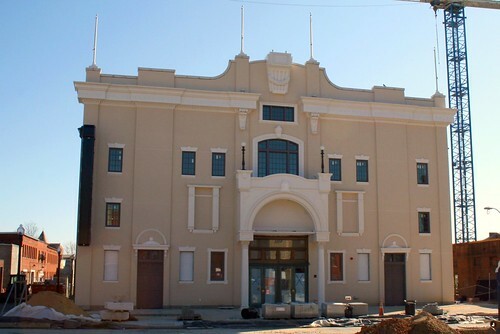 Both are historic U Street area theaters that were revived at significant public expense. Both are owned by the District government and are under the control of non-profits. There are, however, some significant differences between the Lincoln and the Howard: the floor, the kitchen, and the management. 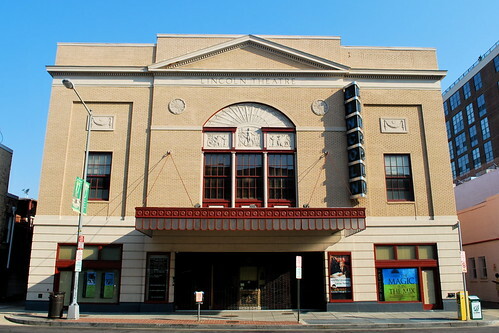 The Lincoln Theatre is a traditional theater with fixed rows of seats. This makes the venue unsuitable for a variety of performances. All concert venues nearby have few if any seats— just an open floor where patrons stand. The Howard Theatre’s floor is a little different. The theatre will have few permanent seats. Much of the space will contain seats and tables for the performances where food is served, such as the weekly gospel brunch, a comedy show, or certain jazz performances. When tables are unsuitable for the type of performance, they will be stowed beneath the stage, thus opening up the first floor like the 9:30 Club or the Black Cat. This flexibility allows the venue to attract a greater variety of acts. Another important difference is that the Howard Theatre will contain a large kitchen. Food service, particularly on the sale of alcohol, is where the venue will make money. The Lincoln Theatre’s food and liquor operation can’t compare. Finally, while the Lincoln Theatre was managed (or mismanaged, some say) by an ad hoc non-profit, the Howard Theatre will be run by Blue Note Jazz Clubs, which runs the Blue Note Jazz Club, the Highline Ballroom, and B.B. King Blues Club & Grill in New York. This gives us confidence that a similar success can happen at the Howard. Actually, the original developers of the Lincoln Theater went broke, so the new owner built a nightclub in the basement that held as many people as the room upstairs. That second stream of revenue helped the theater prosper for decades. Many of the famous artists said to have played at the Lincoln actually appeared at the basement club, the Lincoln Colonnade.